ordered this one in red. 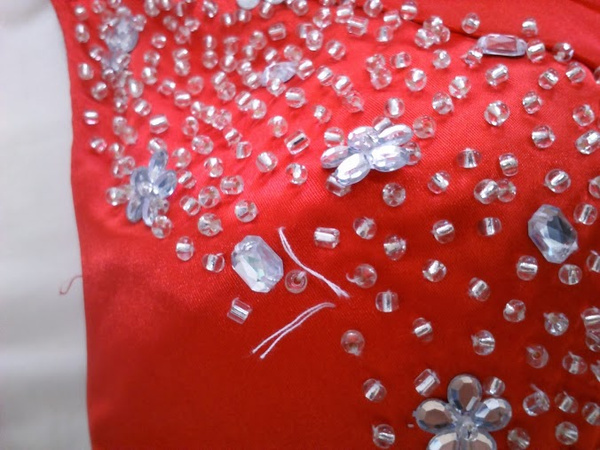 The satin quality is good, but some of the beads were not well attached and loose thread could be seen in some part. 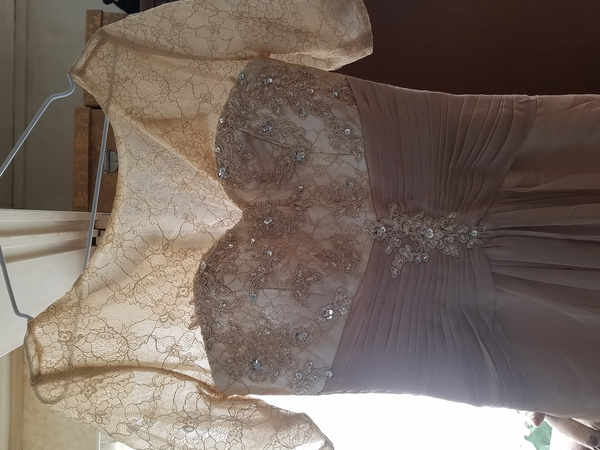 (beads does not look like good quality to me) I think this dress looks better in darker color than in light color. It does look beautiful from the back and compliments your hips. 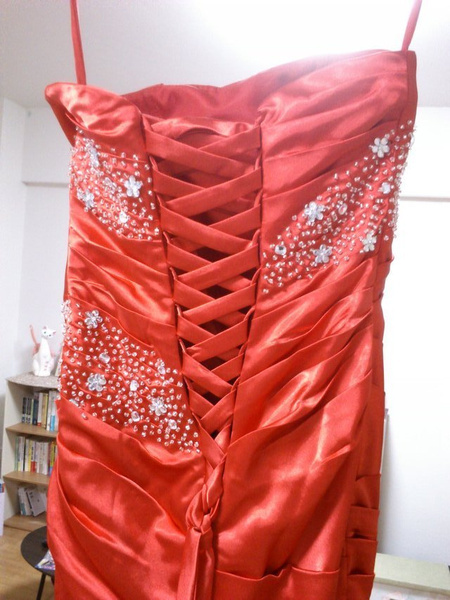 You will need someone's help to do the back corset. Also, keep in mind that this dress is actually very very long. If you are a short person, you will have to get it altered to make it shorter in order for you to walk comfortably. 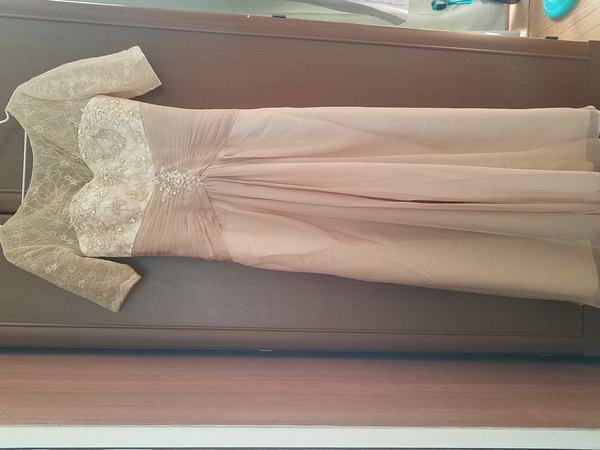 All in all it is a good dress.